See scan - very good condition, but ribbon is missing. 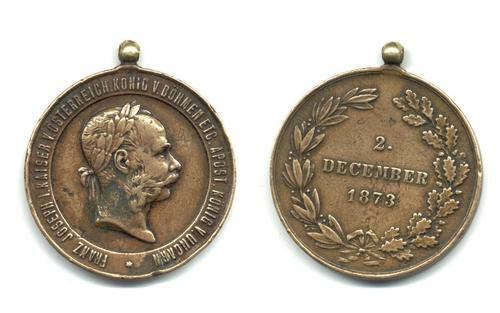 This is a nice Austrian Royal 2nd December 1873 King / Emperor Franz Joseph campaign medal in bronze. the medal has been awarded until early 20th century and many of these medals were also awarded as decorations during the Boxer Rebellion campaign in China. Obverse shows the portrait bust of the Emperor and back is the date surrounded by a wreath. Nice militaria / military collector piece and one of the nice Austrian medals.